Training content has to engage both sea and shore-based who originate from a variety of cultures and backgrounds, where English is not assumed as the Learner’s first language. Recognising the ROI attached to media rich training content, Carnival contracted Twofour to provide an embedded digital media team. 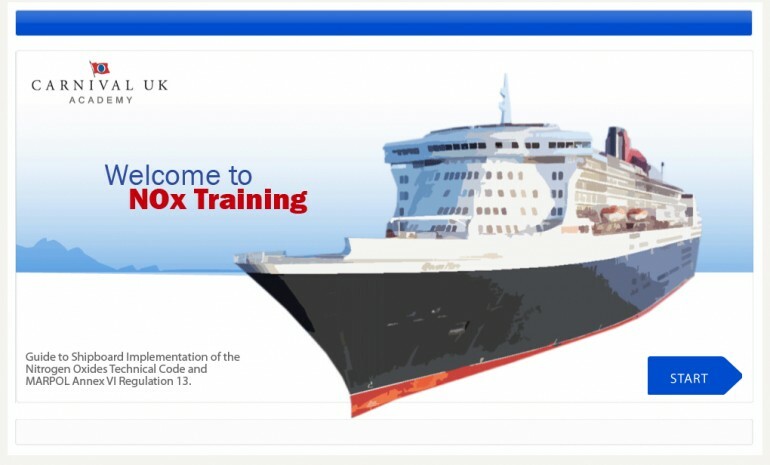 Taking a systematic approach to training, Twofour’s onsite team assist in the development of training courses for Carnival UK crew. Our service covers a wide range of elements including instructional design, SCORM compliant e-learning development and multimedia design. Skill’s used – Adobe Flash, Photoshop, AS3, Adobe Captivate.